Please visit our other website too! Need a 12 footer? Maybe a 20 footer? How about a 30 footer? 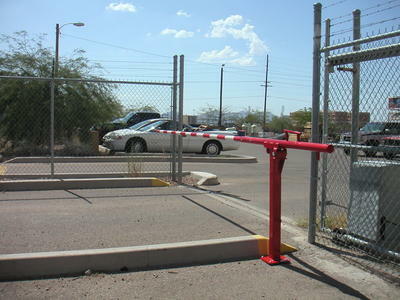 ​Our barrier arms are shipped in sections (12 foot and under) and each section is sleeved together using a solid aluminum insert sleeve and secured with bolts. The sleeve is perfectly machined to fit snug so there is no movement within the sleeved arm sections and the barrier arm is the same diameter from end to end . 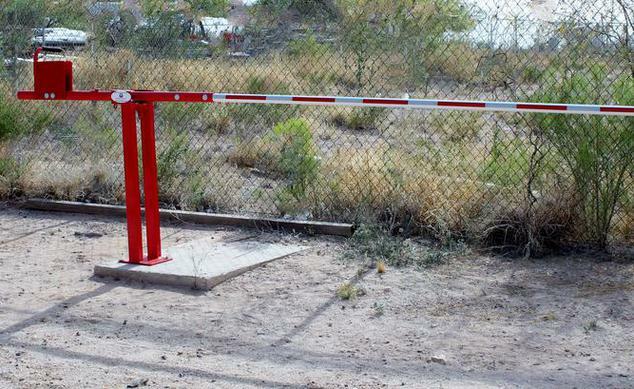 We offer our manually operated rising barrier gate arms in a 12 foot arm all the way up to a 30 foot arm. Ergonomically correct comfort handle grip. Chemical and weather resistant!! 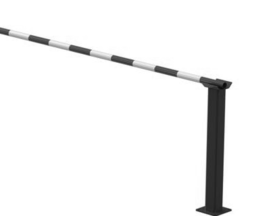 SL-LB 25 ft manual lift barrier gate arm with pendulum support and cable truss support. 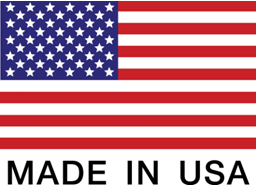 Standard Color is Safety Red. 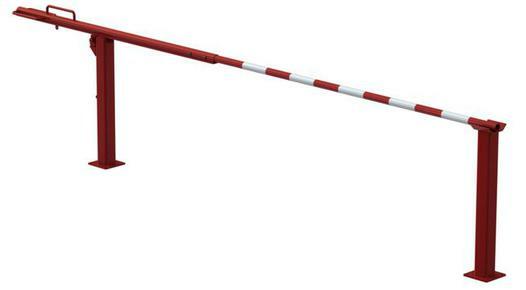 Other color choices are available for an affordable "upgrade fee"
Cable Truss Support for extra long boom arms. Supports the arm during operation and the horizontal position. 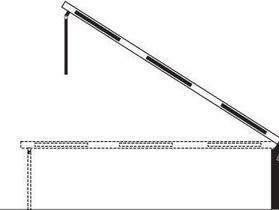 A pendulum support or receiving tip support post is required for arms 17 feet and over.